《Voyage Undersea》 amazing live adventure coming to an international audience with English world premiere in 2015! 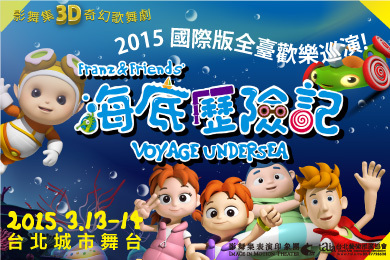 Franz the Doc and his friends are ready to take on audience worldwide to this fantastic voyage undersea with Mandarin and English performances in 2015! Are you ready ? It all begins here. The premiere is right around the corner for the joy of children in Taipei !